A large amount of snake calls are coming in. 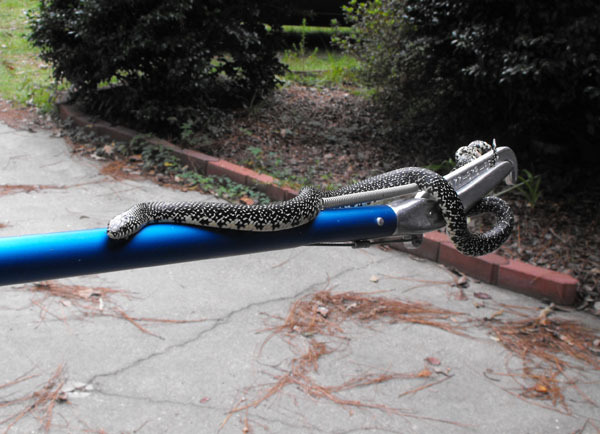 Snakes in the attic, snakes in the garage, snakes in the garden and even snakes in a car. One snake to look out for is the black racer. Although they are not venomous, they are extremely aggressive and can inflict a painful bite which may get infected. 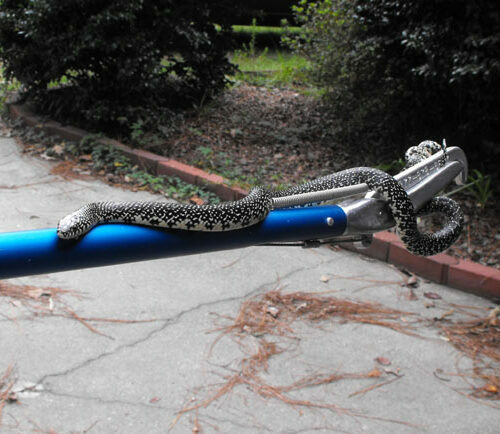 Snake removal becomes an absolute necessity, to protect both yourself and your children. Need A Snake Removal Service At Your Home? Common non-venomous snake species include the Black Racer, Eastern Hognose Snake, Eastern Garter Snake, Milk Snake, Black Rat Snake, Eastern Ribbon Snake, Scarlet Kingsnake, and the Northern Water Snake which people commonly confuse with the Copperhead. Venomous Snakes are the Northern Copperhead and the Timber Rattlesnake. You can find all of these snakes in New Jersey. If you find a snake and you do not know whether or not it is venomous, the safest thing to do is to leave it alone and call us and we will come trap it for you. If anyone is bitten by the snake, you should seek medical attention. We Can Help — Our snake control program will help keep snakes at bay. This includes our special brand of snake repellent. 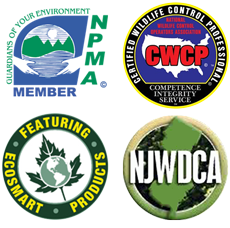 We offer the best snake removal service in South Jersey. Call Jerry today 609-294-1729 for snake removal. We can remove snakes from your New Jersey home and also place of business as part of our services. Snakes can hide in your drains or vents. require efficient snake removal services and effective snake removal exterminators. Common non-venomous snake species include the Black Racer, Eastern Hognose Snake, Eastern Garter Snake, Milk Snake, Black Rat Snake, Eastern Ribbon Snake, Scarlet Kingsnake, and the Northern Water Snake which people commonly confuse with the Copperhead. Venomous Snakes are the Northern Copperhead and the Timber Rattlesnake. If you find a snake and you do not know whether or not it is venomous, the safest thing to do is to leave it alone and call us and we will come trap it for you. However if bitten by the snake, you should seek medical attention immediately. In conclusion we offer the best snake removal service in South Jersey. Call Jerry today 609-294-1729.